Ranking a brand new website is a hard job, but by following Google’s guideline a new website can improve its ranking and traffic. One of the best ways to indicate site relevancy is to provide regularly updated content for a website. Having updated unique content can definitely be helpful in drawing Google’s attention towards you. Google is a platform where people can obtain information. Thus, Google emphasizes on fresh, unique content that people find informative. So, regularly updating your website blog with the relevant content can ensure a better ranking. In this technologically advanced world, we prefer to gather information from Google using our mobiles or tablets. Why carry a laptop all the time when we have easy access to Google from our phones? So, it is a mandatory to develop a website that is mobile friendly so that the users can access information on the go. A website which is mobile friendly is more likely to reach a better rank in Google. Google launched the mobile search algorithm on April 21, 2015. The algorithm was designed to give a boost to mobile-friendly pages in Google’s mobile search results. Keyword research is the first most important factor for any SEO campaign. Nowadays it’s very tough to rank a high competitive keyword, so the better way is to find keywords with less competition. Low competitive keywords are those keywords that are searched in good volume every month, but lacks competition. Choosing the right keyword helps to draw visitors to your website and in return brings better rankings for you. Learn to optimize your website by adding keywords to your site. The browser tab and search results show the title of your content. So, creating a title including few keywords or a phrase helps searchers to find your content relevant to their query. Try to write descriptive and unique title for each page of your website. Keep the title short and simple (within 55-60 characters). It is always better to have keywords in the URL’s that describe your page content. You have the opportunity to optimize your URL for each and every post you publish. Optimize your URL in a way that you do not get penalized by the search engines for exact domain match filled with keywords. Header tags commonly known as HTML header tags are used to improve the search engine ranking for your website. The most important heading tag is H1 tag that specifies the content of your page and should be used only once for a web page. H2, H3, H4, H5 and H6 are sub heading tags that are not as important as H1 tags. 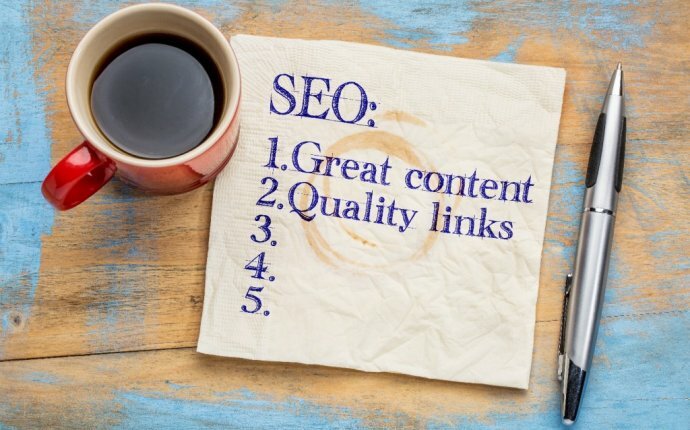 Search engines emphasizes upon H1 tags over other headings and if used correctly along with other SEO techniques can yield the best results and improve your Search engine ranking. It is a short summary about your page so that users can learn about the content of the page instead of making rough ideas from your title. The meta description should not be irrelevant. Users should be able to relate the title to the description. You must keep the meta description short and without exceeding 155 characters. Providing alt tags or alternative text tags to images not only makes it accessible to the user but also informs the search engine about your page. These are the ways to optimize website with keywords. Learn from the optimization methods above and get your optimization on the right track. According to Google’s guidelines – “Think about the words users would type to find your pages, and make sure that your site actually includes those words within it”. So, put your important keywords in the body of the content naturally. Keep in mind that, the content should be natural and should not be stacked with keywords. The content should be written in plain simple words that the users find it understandable and is readable. Spread knowledge on the given subject to the users so that they find it really useful and come to you again. SEO gained its importance with the emergence of Google and backlinks have become the primary reason behind the success of SEO. A great amount of traffic can be drawn from social media. It is important to create social friendly and informative articles to draw people towards your website utilizing social media platforms. Having active Google+, Facebook, Twitter, LinkedIn, Pinterest profiles will have a positive impact on drawing huge traffic to you. Google is your boss and hence you need to go as per the guidelines of your boss. Any kind of unethical means to get to the top will have negative impact on your website and Google might flush you out for your unethical and illegal activities. Follow the guidelines and make it to the top ethically. Now you know the most efficient & effective ways to rank a new website. If implemented correctly, you might just land your website on the first page of Google search.